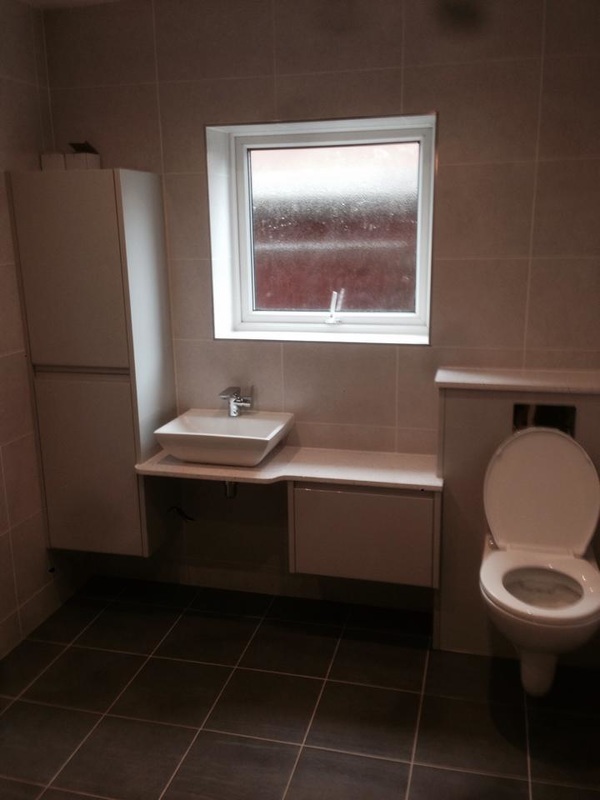 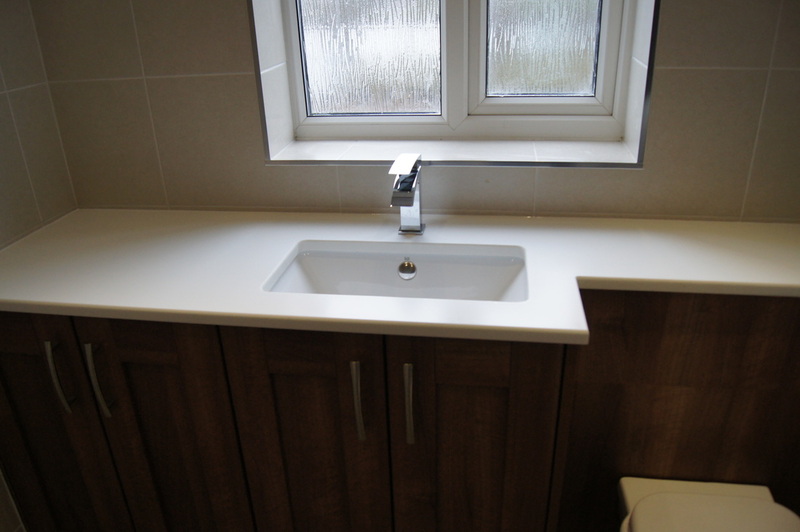 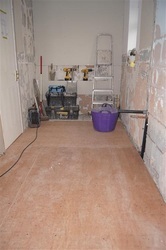 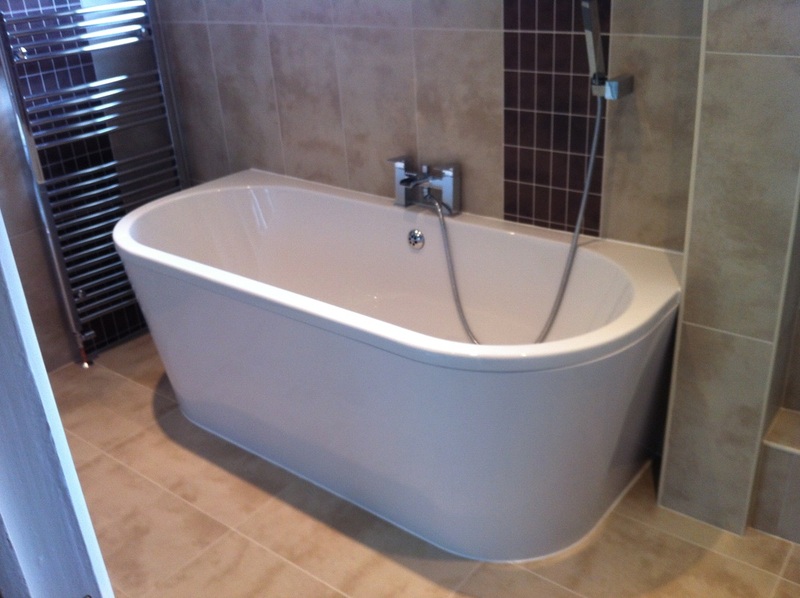 Widnes based specialists in supply, bespoke fabrication, installation and renovations, in particular Kitchens, Bathrooms, Bedrooms, Wetrooms, Home Offices, Gas Installations, Building and Alterations. 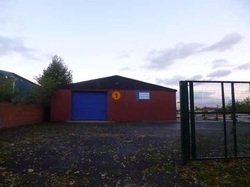 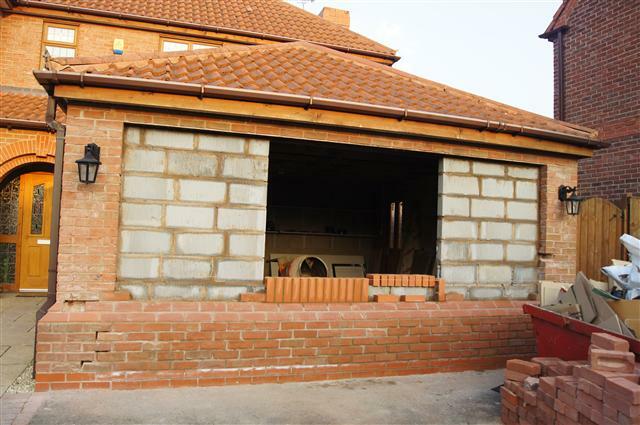 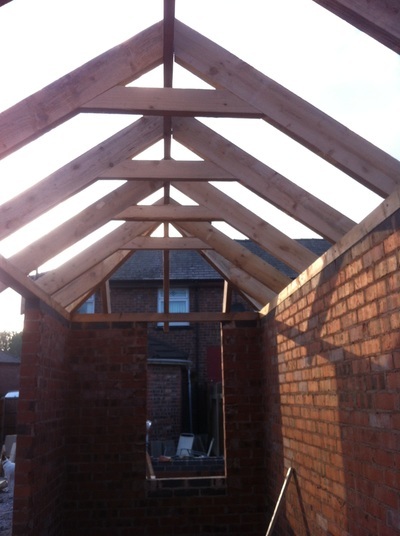 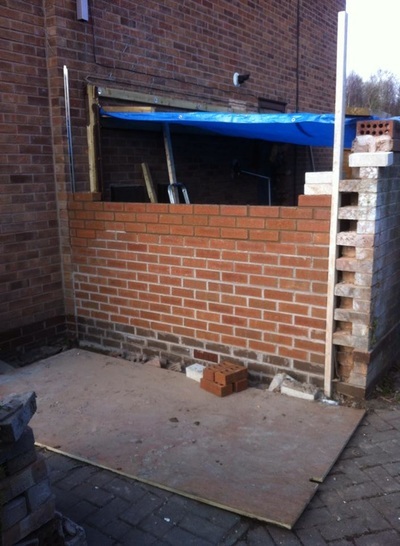 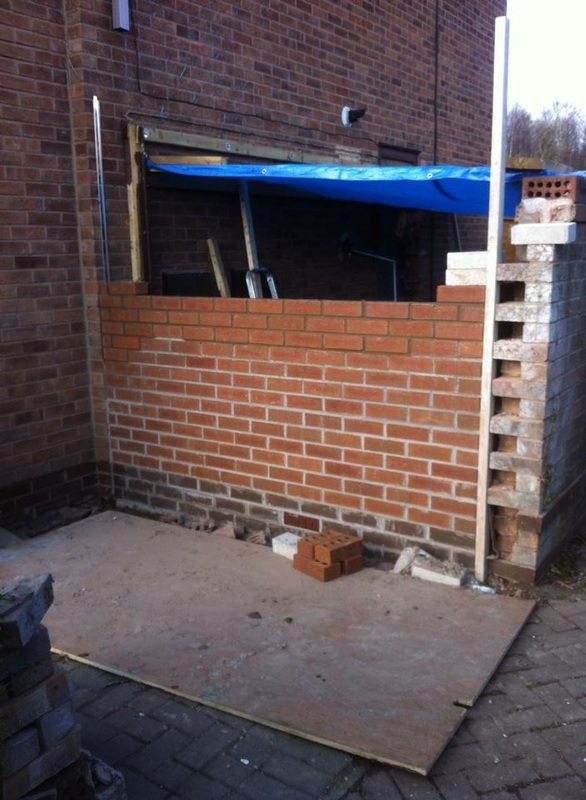 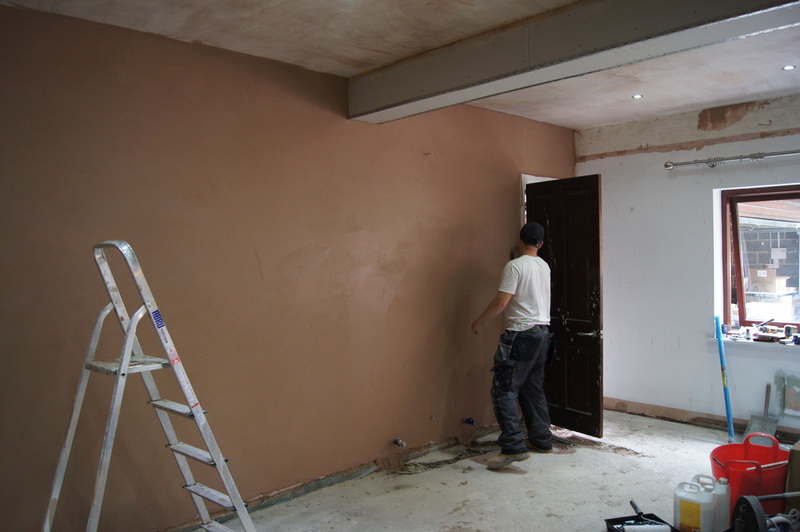 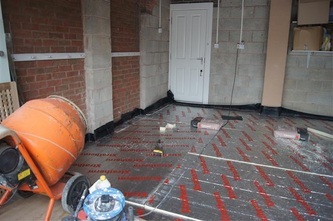 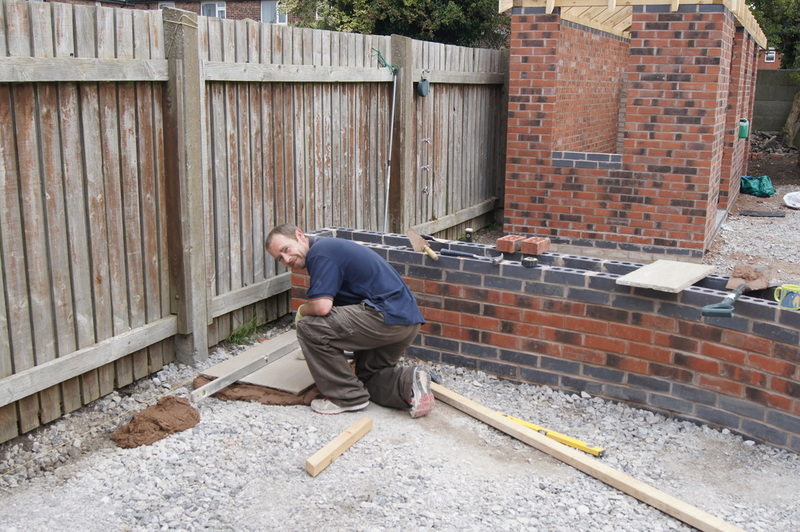 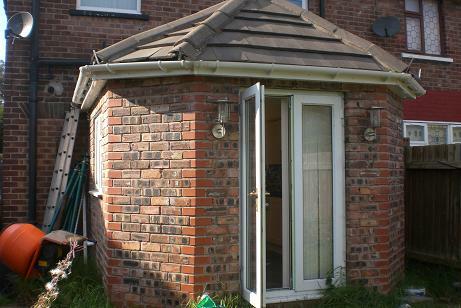 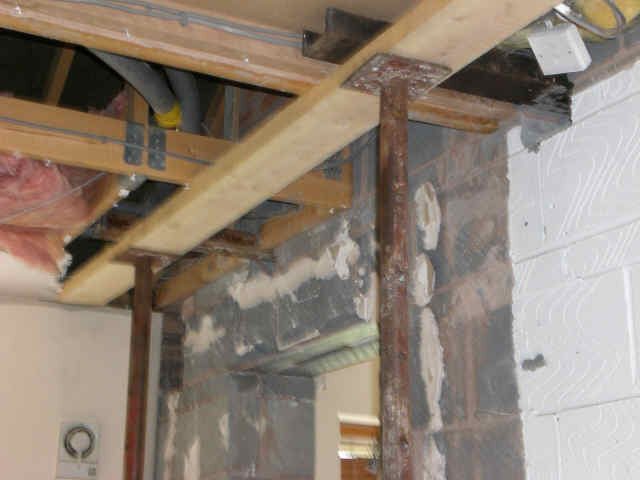 Established in 1995, we cover a vast amount of building works and can cover all the works needed for your particular project. 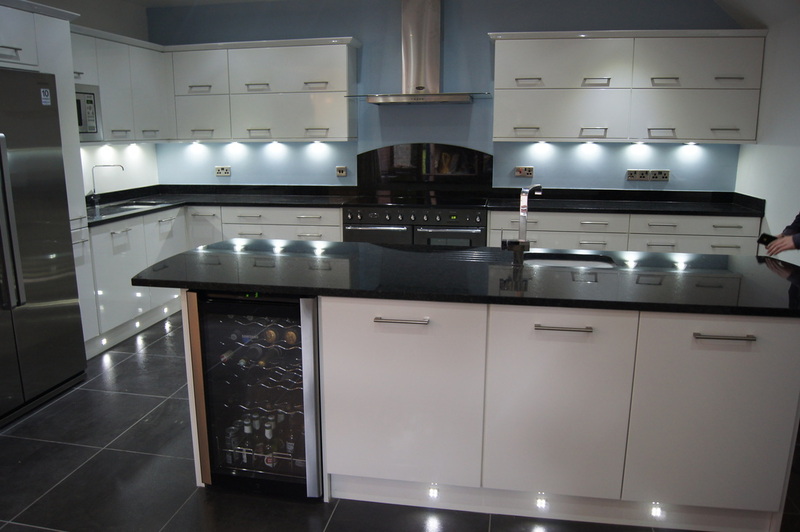 We pride ourselves on the way we treat all new and returning customers and go out of our way to assist them to achieve the best solutions for their needs. 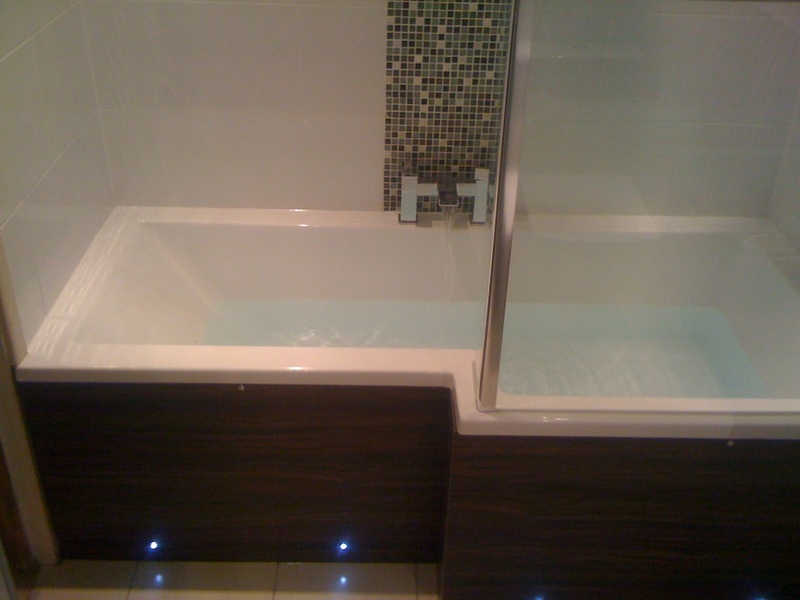 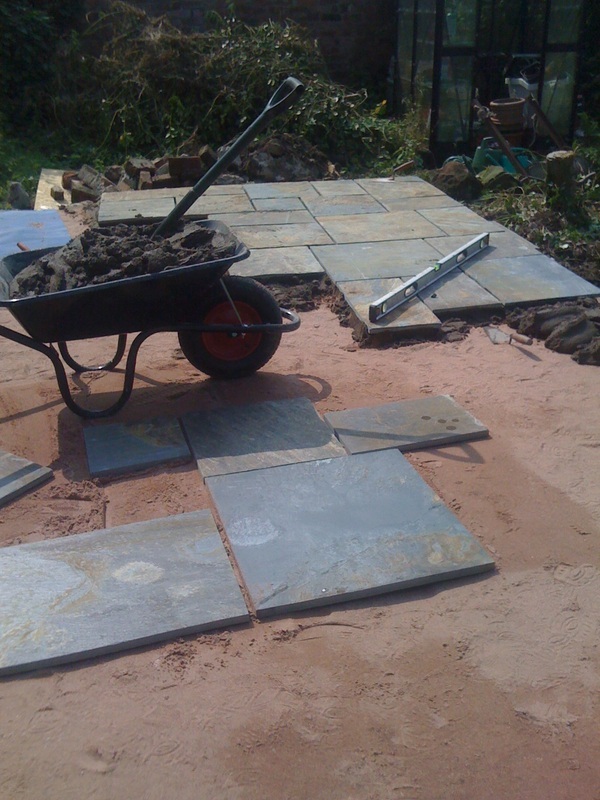 being a local firm we can give our customers the personal treatment they deserve. 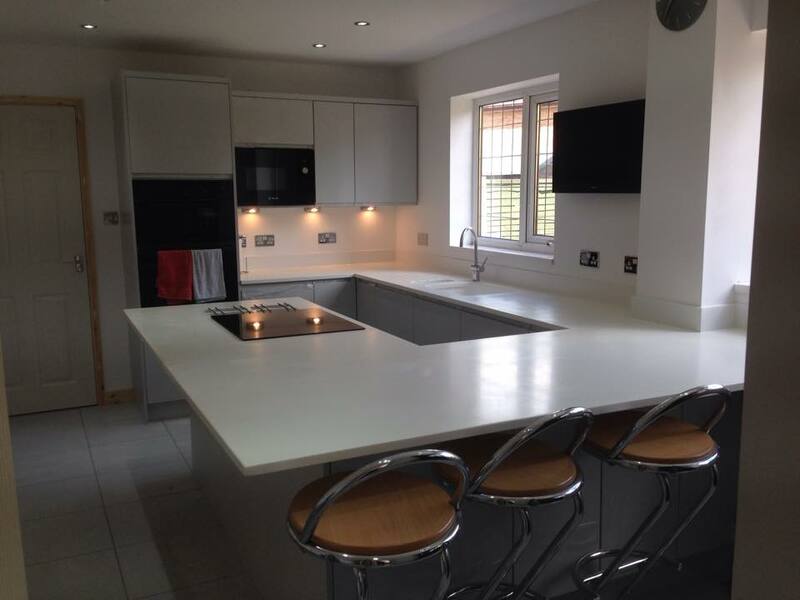 We are extremely Qualified, Experienced and Profession in all aspects, from design to completion, we consider ourselves to be the best at what we do, so why settle for anything but the best? 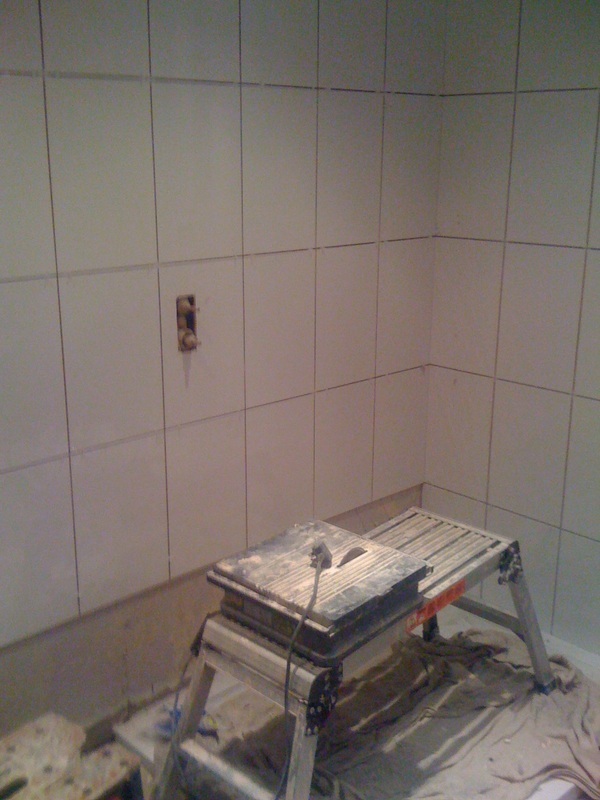 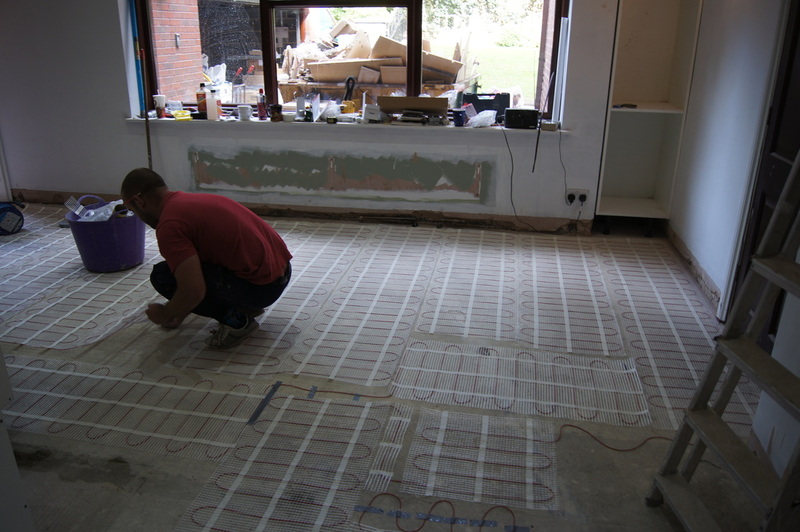 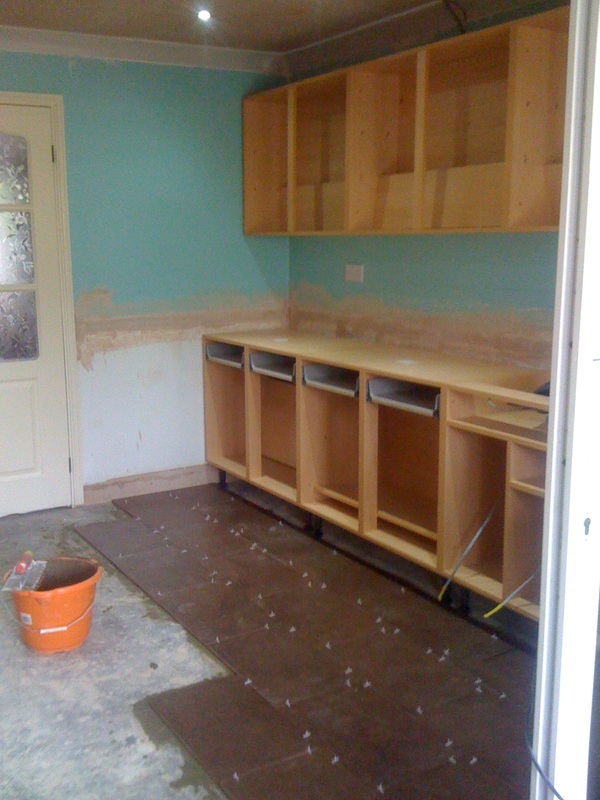 Here, once the design is completed this is where the units and worktops are handmade to the specific design. 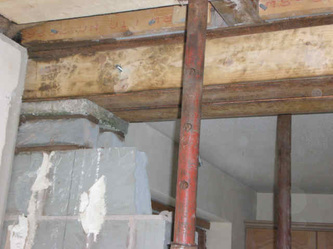 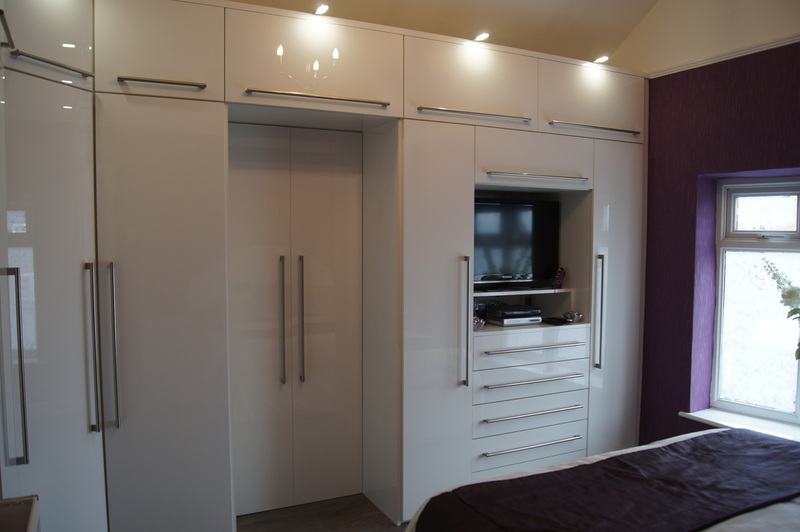 Here we work on bespoke kitchens and bathrooms that are made to measure to the room.
" 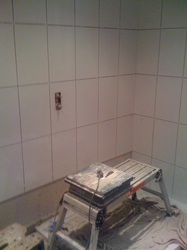 Great workers! 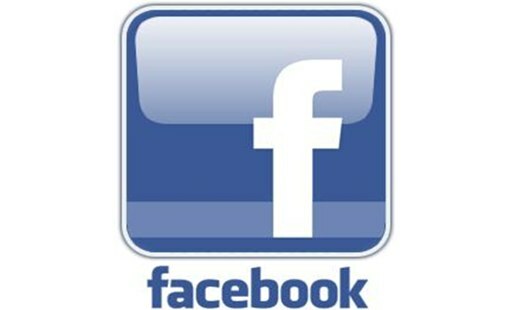 Puctual + reliable! 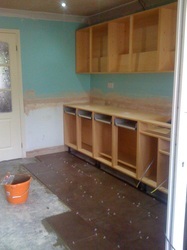 Nothing too much trouble! 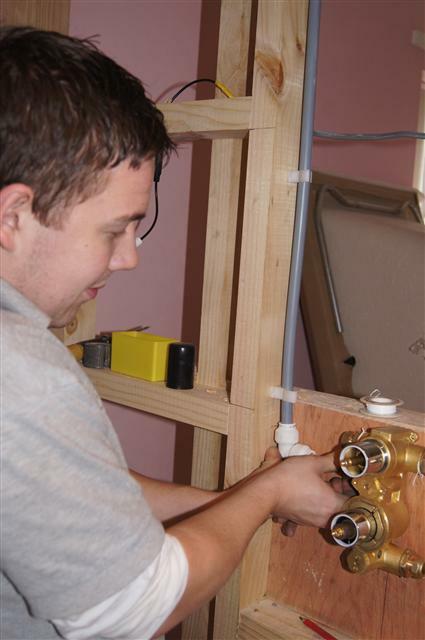 Joe is a very skilled and consiencous worker, and Jacks personallity - chearful and friendly - musical! 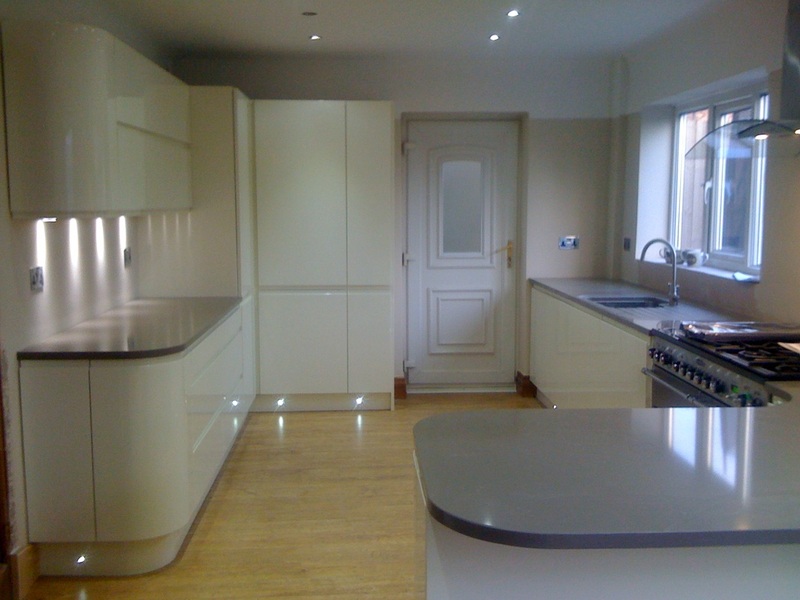 Helped us through the blitz of having a new kitchen fitted, we are very happy with the results and would not hesitate to recomend them. 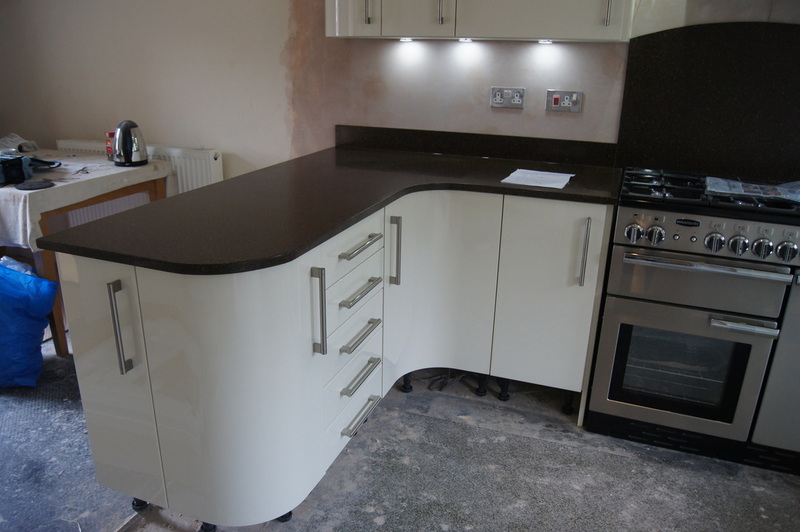 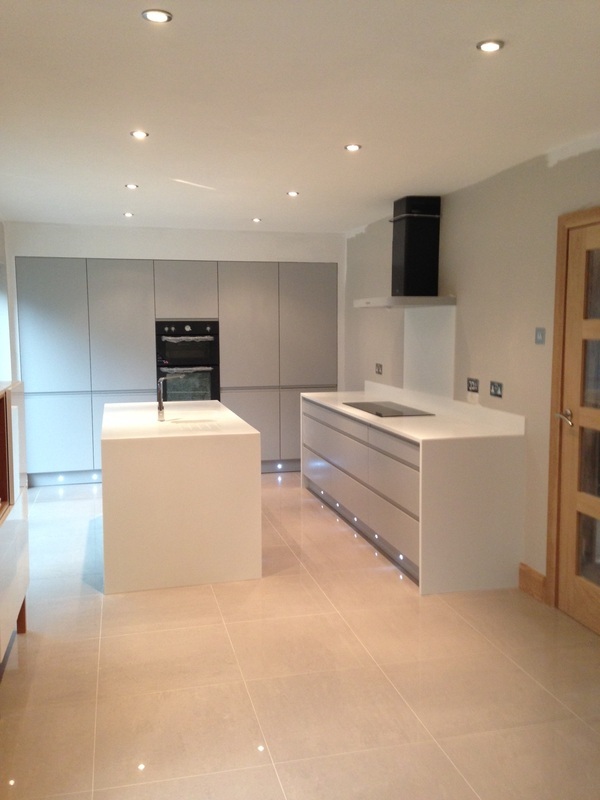 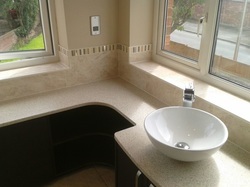 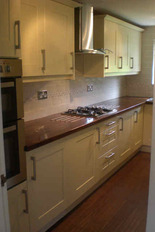 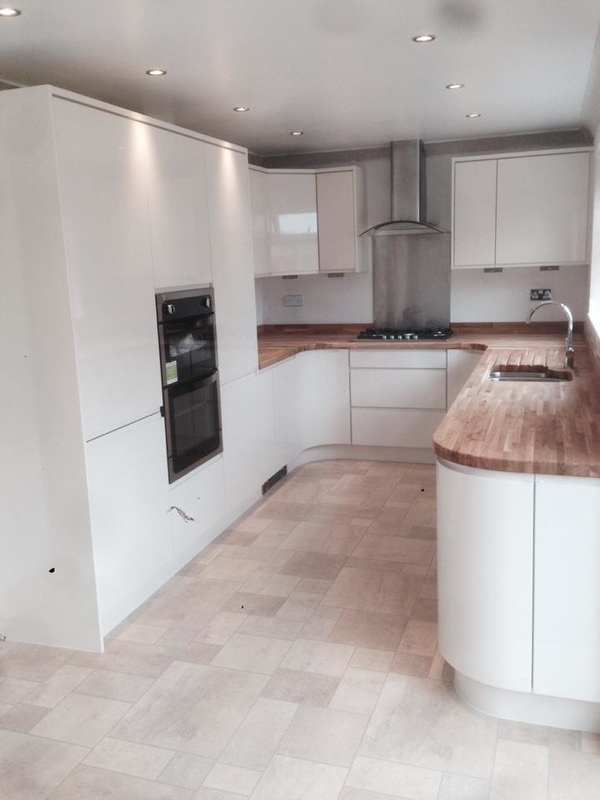 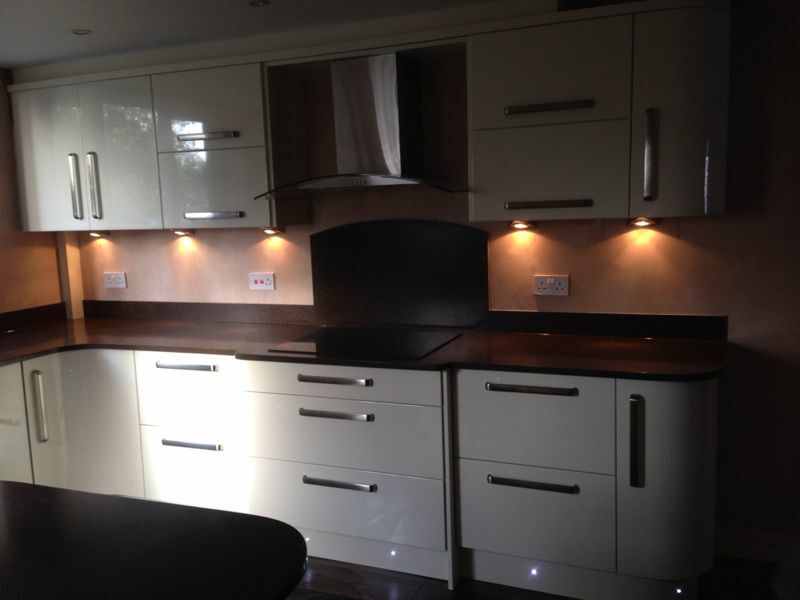 "We are very happy with the the two fitters, Joe and Jak have given us a great fitted kitchen"